Picture day for the Labay Band is Tuesday, November 6th (Election Day). 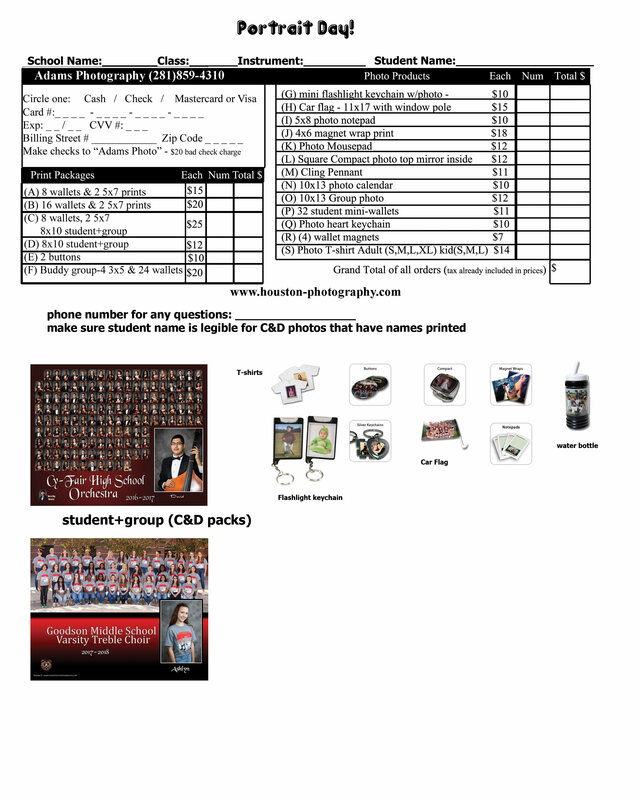 We are sending your child home with picture order forms today in class. These forms are due the day we take pictures, and your child will hand them straight to the photographer. Please do not bring the forms before picture day. Symphonic Winds & Symphonic Band – Black dress pants, black socks, black knee highs (ladies), solid black dress shoes (not athletic shoes! ), wing tip tuxedo shirt, bowtie (provided by Labay), and vest (provided by Labay). If you choose to wear earrings, they need to be studs, and any hair accessories need to be solid black. Beginning Band – Blue jeans, red band tshirt, athletic shoes. If you choose to wear earrings, they need to be studs, and any hair accessories need to be solid black. Your child will need to wear their uniform ALL DAY for pictures, as we do not have time to go change before and after pictures. Every child will be in the group photo for the yearbook at no cost to you. The individual pictures are optional. We will need parent volunteers to help pass out vests and bow ties for the performing bands. We will send out a sign up link soon. By Megan Rees|2018-10-25T12:15:00+00:00October 25th, 2018|Uncategorized|Comments Off on Picture Day!